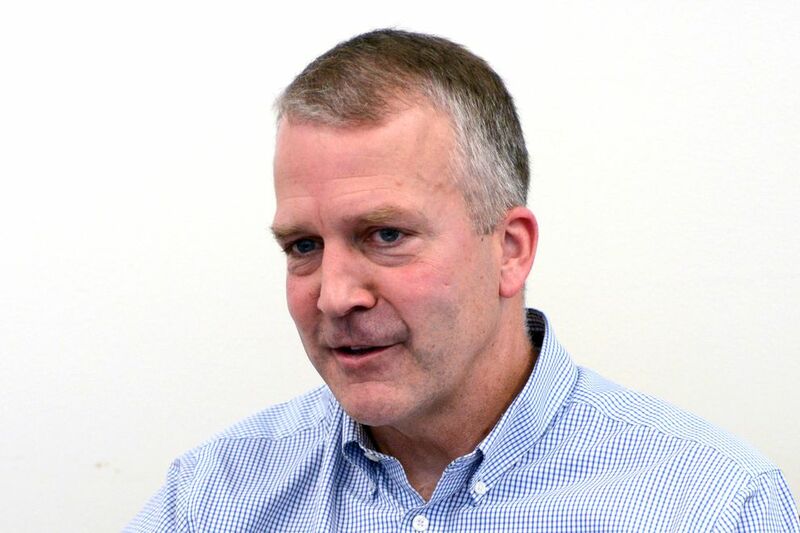 WASHINGTON — An otherwise complete military strategy for the U.S. Arctic is on hold during the transition between presidential administrations, but Alaska Sen. Dan Sullivan shared what he knows of its contents — including concerns about growing Russian aggression in the region. The fiscal year 2016 defense authorization bill included a requirement that the Defense Department come up with a comprehensive strategy — known as an "O Plan" — for the Arctic. But the plan was not released before President Barack Obama left office and is currently hanging in limbo while new top officials take control of the federal workforce. Sullivan said the new strategy document, though not yet approved by the administration of President Donald Trump, acknowledges the major changes to the Arctic region driven by Russian activity. "Over the last two years, Russia has continued its massive buildup of the Arctic," Sullivan said Tuesday at a meeting held by the Center for Strategic and International Studies here. In the Arctic, Russia has added four new brigade combat teams, a new Arctic command, and 14 new operational airfields, with a goal of 50 airfields by 2020, Sullivan said. The nation has added 16 deep-water ports and has 40 icebreakers, with 11 new icebreakers in development. That all comes as Russia has laid claim to a vast swath of Arctic Ocean seabed as under agreements governing extended continental shelves and increased its long-range air patrols, Sullivan said. 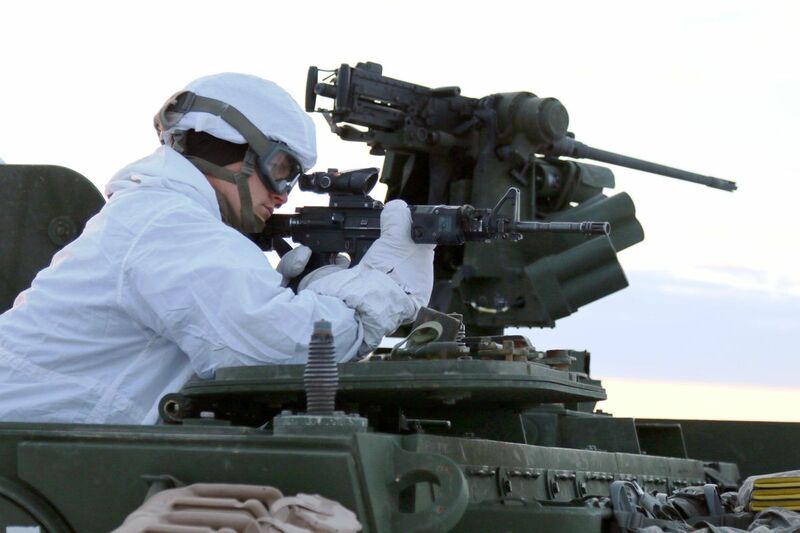 And a recent Russian Arctic military exercise included "45,000 troops, 3,300 military vehicles, 41 ships, 15 submarines and 110 aircraft," Sullivan said. 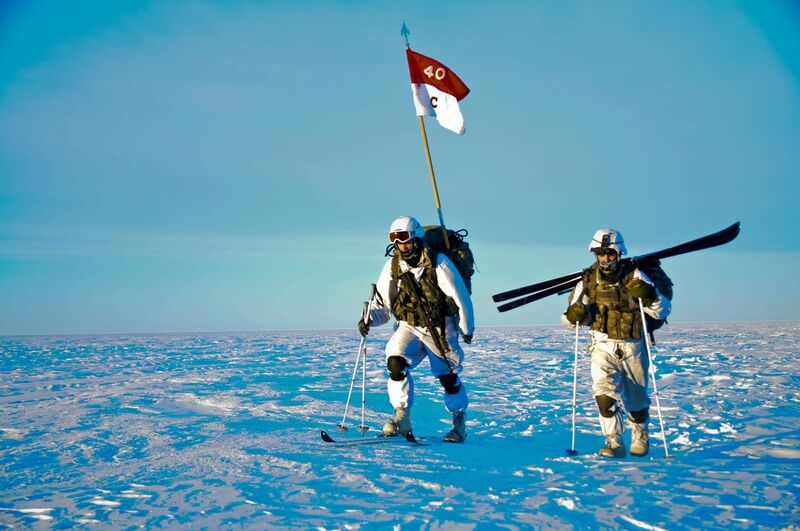 "Clearly, Russia is militarizing the Arctic. What's their end game? And to me that's a really important question," he said. And it's not only Russia. "China has also showed a growing interest in the Arctic," particularly related to burgeoning transportation routes, Sullivan said. Taking a northern route — newly open because of melting sea ice — could save shippers money by cutting sailing time and fuel consumption. Sullivan noted that when President Obama was in Alaska for three days in 2015, China sent three Navy ships through Alaska's territorial waters. "And if you think that was just a coincidence, I've got a bridge in Brooklyn I'd like to sell you," Sullivan said. The as-yet-unreleased Defense Department strategy, which Sullivan has reviewed, does not discuss Chinese interests in the Arctic — an omission Sullivan disagreed with. But it does include a heavy focus on Russian activity in the region. The new document "mentions Russia at least 25 times; there's an entire section on Russia, and importantly, it acknowledges a common threat in the Arctic," Sullivan said, noting that that was just the unclassified version. He declined to elaborate on what was in the classified document. The new strategy document goes beyond prior works to describe "friction points" with Russia in the Arctic, "including their claims of sovereignty" in Arctic waters, Sullivan said. "The document identifies what Russia's national interests are in the Arctic and says clearly that Russia will use Arctic as a natural strategic resource base to support and develop the Northern Sea Route for transportation." Sullivan said he thinks much of Russia's aggression in the region is about maintaining control of the Northern Sea Route. The draft strategy includes a section on preserving freedom of the seas in the Arctic, he said. "This section states, quote, 'In support of the U.S. national security interests and preserving all the rights, freedoms and uses of the sea and airspace, recognized under international law, DOD will preserve the global mobility of U.S. military and civilian vessels and aircraft throughout the Arctic, as in other regions. This includes conducting freedom of navigation operations to challenge excessive maritime claims when and where necessary.'" The document also "identifies a need for enhancing the capability of U.S. forces in the Arctic to defend the homeland and exercise sovereignty," Sullivan said. The U.S. should be more aggressive in its maritime activities, Sullivan argued. He pointed to China's recent efforts, where in the last three years, the country has "claimed land, built islands, militarized them and changed the strategic conditions … in the region" in the South China Sea. 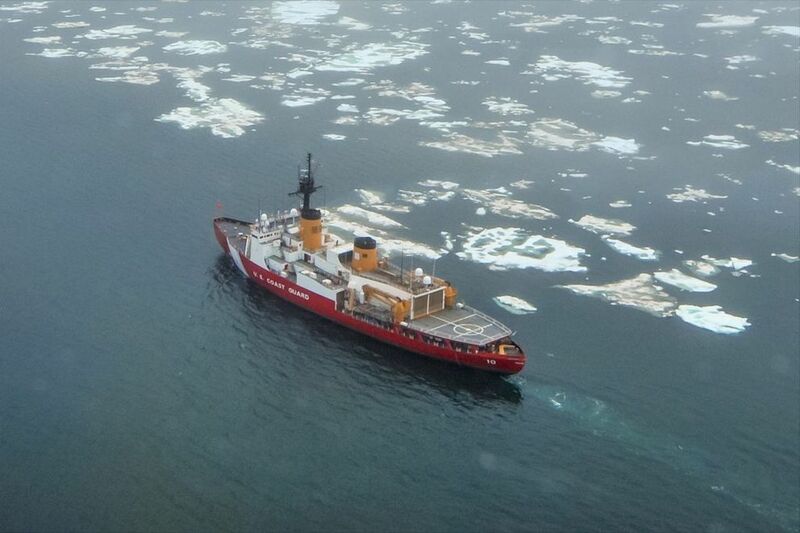 Sullivan said he hopes a new focus on the Arctic could provide several advances: increasing defense communications in the region; developing oil and natural gas resources; extending search-and-rescue capabilities beyond about 50 people (the current capacity); building a deep draft port in the Arctic region; and securing icebreakers — something that's drawn bipartisan support in Washington. "As President Trump looks at dramatically increasing the size of the Navy," considering hundreds of new vessels, "I would submit that some of these new vessels should be ice-hardened," Sullivan said. "They do not all have to be icebreakers … but they should have some type of ability to operate in environments with lots of sea ice." Sullivan said he'd encourage deeper coordination with Russia, but argued that Trump's interest in working with the country is not far different from the stated preference of every president going back to Franklin Delano Roosevelt. The quality of the U.S.-Russia relationship is up to Russia, he said. "If Russia continues to invade other nations, to act aggressively to the United States, there's not going to be good relationships, including in the Arctic. If they're acting more cooperatively, then there are opportunities there." Sullivan said he is opposed to lifting sanctions on the country, levied for its aggression in Ukraine and Crimea. If anything, the Senate is considering increasing sanctions, he said. While hopes are high among Arctic advocates that attention is rising for the area, key former military officials cautioned that the Pentagon resources are thin and attention is stretched. "We have not paid enough attention up there for a long time. It's not like we didn't know that this was something that we had to keep our eye on," said James J. Townsend Jr., who recently left his position as deputy assistant secretary of defense for European and NATO policy at the Department of Defense. Townsend was heavily involved in writing the new strategy document and left with the Obama administration, as did other key report authors. "And I think the Arctic has been starved too long," he said. The U.S. military is already "playing catch-up" in the Arctic — but after years of budget "sequestration" limits, it's also playing catch-up in just about every other focus area too, Townsend said. Ret. Navy Adm. Gary Roughead said that at the Pentagon, Arctic issues are "a bit of an orphan," led by one person in the strategy office who has since left with the change of administration. Roughead is currently a military fellow at the Hoover Institution at Stanford University. Roughead also said that if he was to be "very frank," he found the United States' two years chairing the Arctic Council to be "very disappointing." He hoped that holding the chairmanship would help develop the image of the U.S. as an Arctic nation. But "in all honesty, once you get out of Alaska, it's kind of lost," Roughead said. Arctic watchers argued that a shakeup was in order — more focus at the State Department, a shift in control from the European Command to Northern Command. But ultimately the largest problem is one of leadership bandwidth, they said. Townsend said that if Arctic policy is to change, "there's got to be a constituency that's loud and knows the tricks of the trade in the bureaucracy to get their positions agreed and to get the resources that they need … And there's not that in the Pentagon right now." Other "squeaky wheels" — like special operations and those fighting in Syria and against the Islamic State — are most likely to get attention right now. "There's so many areas where we need to be replenishing ourselves. … If you're going to be clamoring for the Arctic, that voice has got to be strong within the resource channels in the Pentagon and at (the White House Office of Management and Budget) and on the Hill," Townsend said.